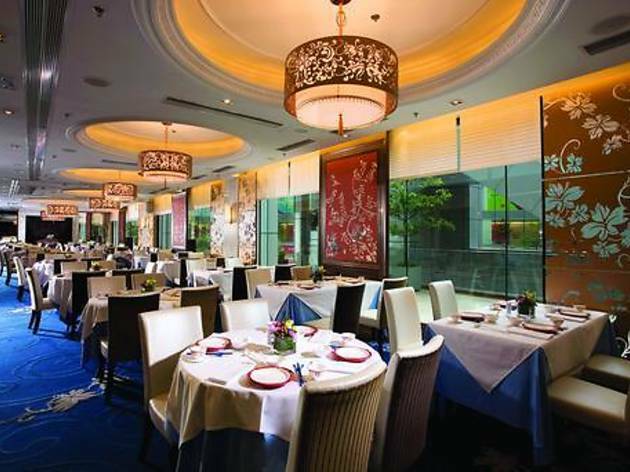 Offering an ambitious range of Chinese provincial cuisines, House of Beijing – owned by the Maxim’s group – certainly evokes that old adage of being a jack-of-all-trades. During our recent visit, the restaurant was full of families sitting down to dinner after shopping in Tsuen Wan’s Citywalk mall, in which the restaurant is located. 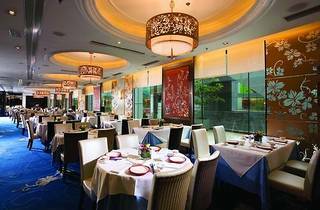 The brightly-lit dining room was elegant with chrysanthemum motif decor, but tables were placed too close together for comfort. We instead opted for a booth, which offered more privacy but less service, hidden away as we were in a corner. The menu was a mouth-watering list of classic dishes from all over China, traversing provinces from Xinjiang to Sichuan. With a little bit of everything, we marvelled at the kitchen’s incredible breadth of knowledge and skill. But we had unwisely jumped to conclusions. Our Peking Duck ($180), which took a stomach-growling 45 minutes to prepare, was hardly worth the wait. Although the meat was flavourful and tender, the skin was chewy, and coated with rubbery fat. The accompanying wheat pancakes did the job, albeit unremarkably, but the cucumbers and leeks were cut into thick chunks rather than the requisite matchstick-size. We had our hopes up for the twice-cooked pork ($62), a dish of pork slices which should first be blanched then stir-fried until crispy, but never greasy. However, we were served insipid slices drowning in a pool of oil, and flavourings that were altogether too sweet. Pass on this one, too. Crossing our fingers, we hoped against hope that House of Beijing’s kitchen might be more adept at cooking something a little closer to home, and ordered Shanghai-style stewed noodles with chicken ($35). A heaping bowl of steaming-hot wheat noodles arrived at our table topped with shredded chicken. We tucked in and were delighted with the tenderness of the noodles – they practically melted in our mouths. The chicken broth was a wholesome change from the stodgy meat before, but still tasted slightly gamey – and not enough to persuade us from concluding that House of Beijing is the home of mediocrity. Shop 43 & 81, UG/F, City Walk, 1 Yeung Uk Rd, Tsuen Wan, 2941 0066. Daily 11.30am-4pm, 5.30-11:30pm. Meal for two: around $320.